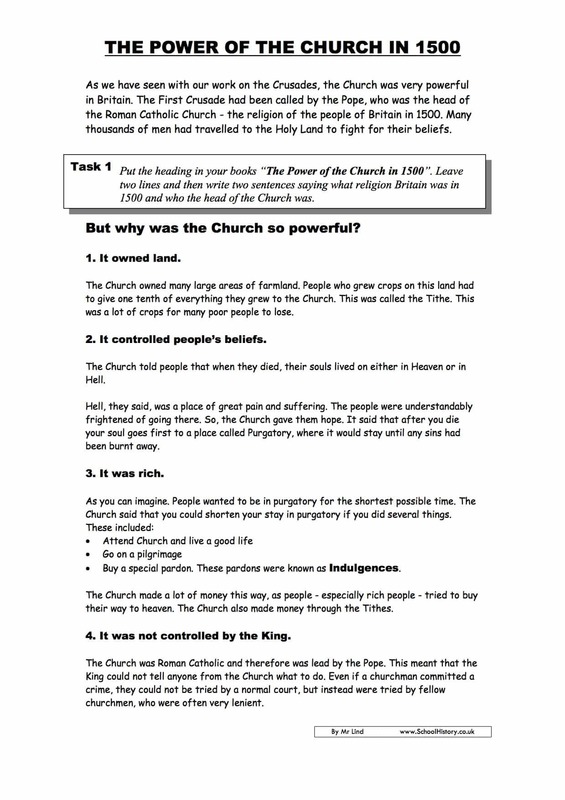 As we have seen with our work on the Crusades, the Church was very powerful in Britain. The First Crusade had been called by the Pope, who was the head of the Roman Catholic Church – the religion of the people of Britain in 1500. Many thousands of men had travelled to the Holy Land to fight for their beliefs. Structured study guide and challenging tasks.